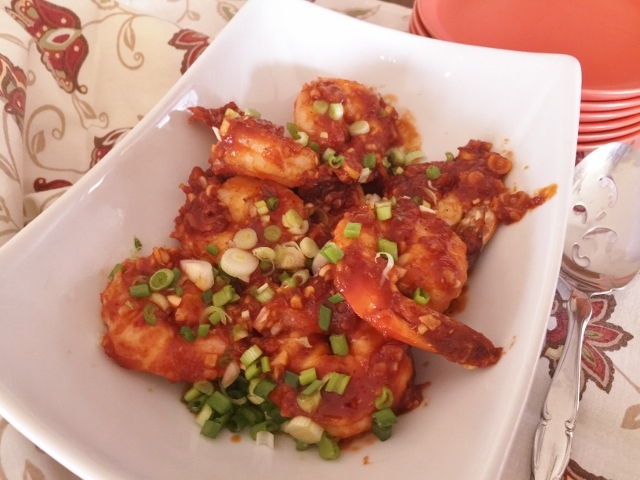 Sweet & Spicy Chili Shrimp - Recipe! 10-Minute Meals! - Live. Love. Laugh. Food. 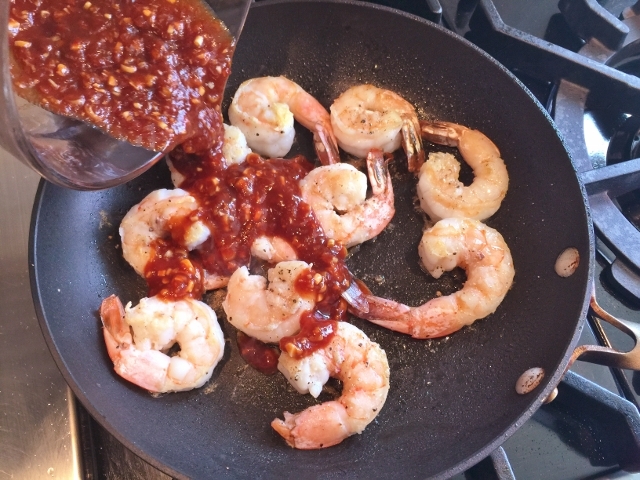 Sweet & Spicy Chili Shrimp – Recipe! 10-Minute Meals! 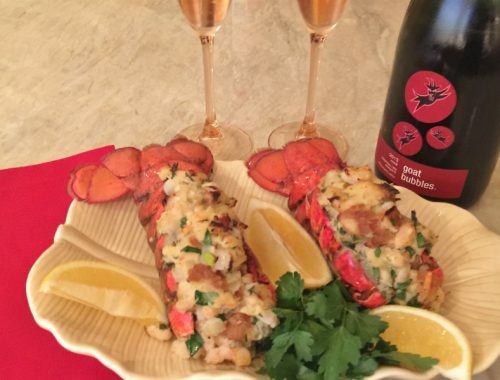 I’m sure you have heard of 30-Minute Meals, how about 10-Minute Meals? 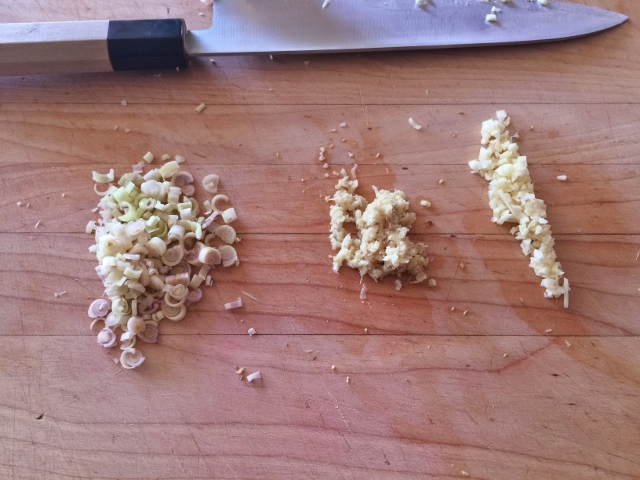 This dish is so simple it’s scary and the flavors are powerfully delicious. If you like spice like I do, than this is the dish for you. Easy Sweet & Spicy Chili Shrimp are prepared in one skillet and have flavors that are reminiscent of your favorite Chinese restaurant, except better. The fresh lemongrass and ginger add to the gentle heat and enhance the sauce perfectly. 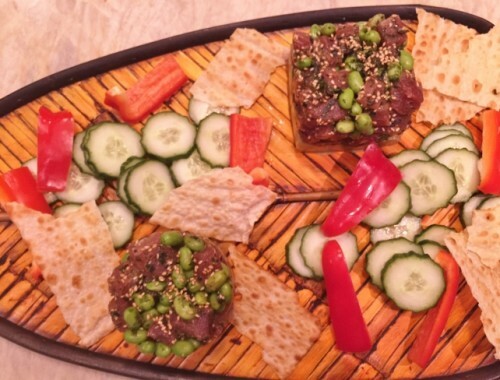 You can serve this as a main course with sticky rice or sauteed greens, but it also makes a fun appetizer for a dinner party. 1. 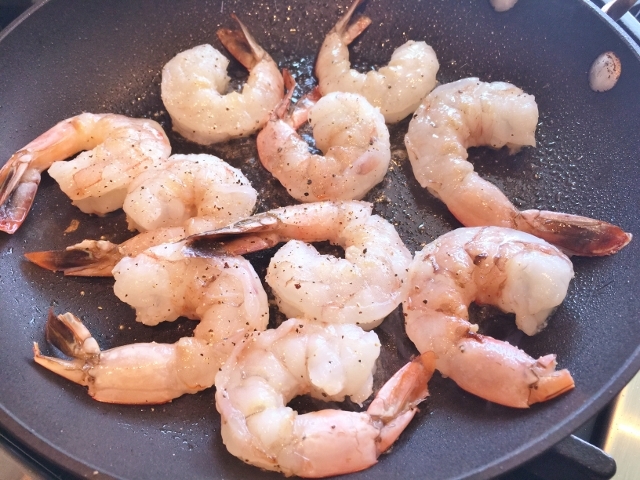 Wash and dry shrimp and place in a bowl or plate and sprinkle with salt and pepper. 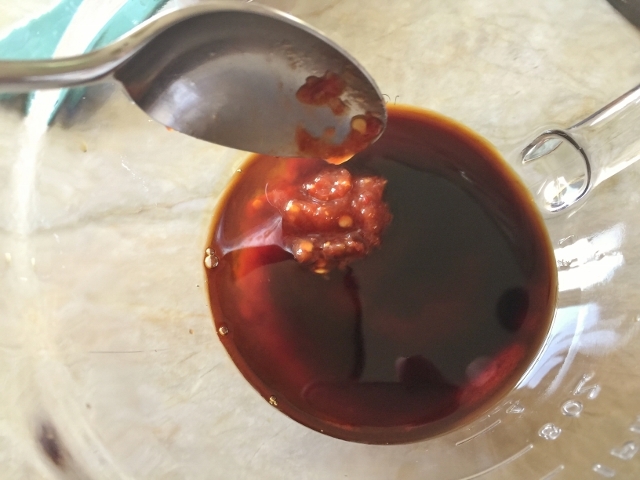 In a liquid measuring cup, add the ketchup, soy sauce and Mirin, then stir to combine. 2. 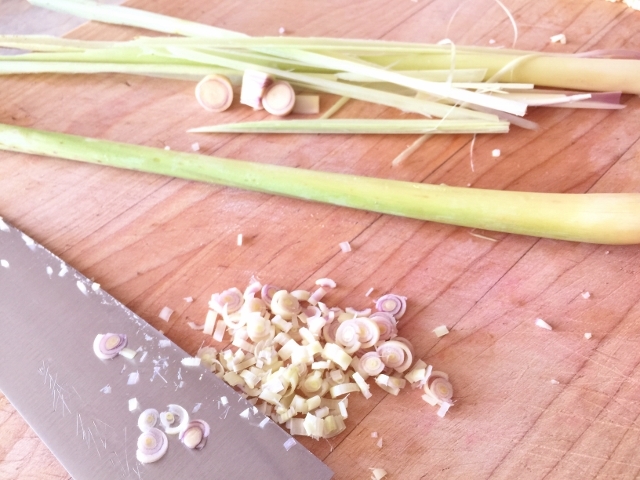 To mince the lemongrass, cut the stalk in half and then cut the bottom off the stalk, about 1/2 inch. Remove the outer tough casing from the stalk and mince the inner, softer stalk. 3. 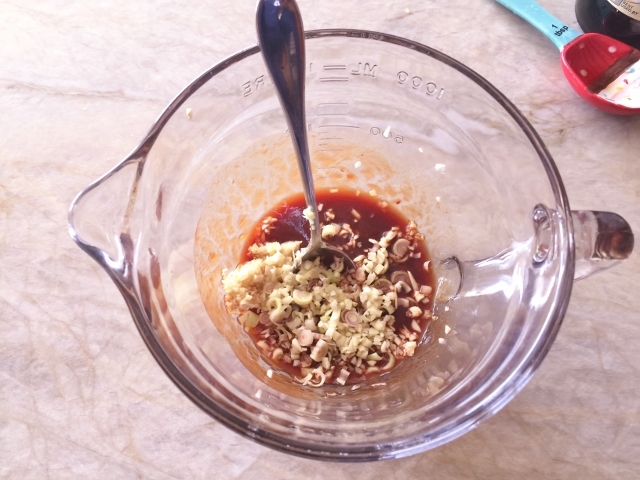 Then, add the minced garlic, ginger and lemongrass to the chili sauce mixture, stir to combine. 4. In a saute pan over medium heat, add 2 tablespoons cooking oil. 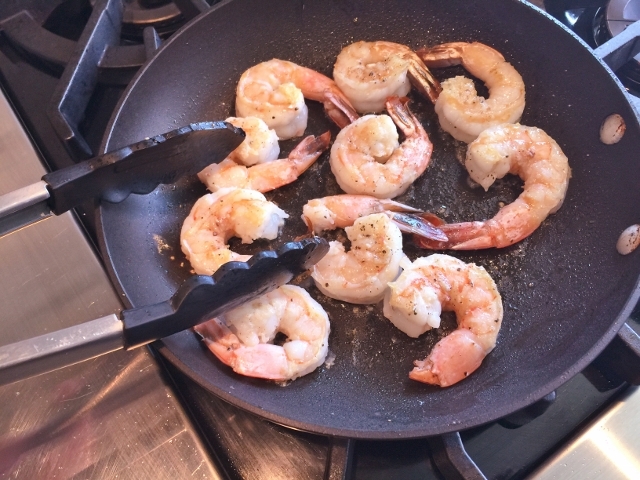 Let the pan heat for 3 minutes, add the shrimp to the pan and saute for 2 minutes on the first side. Flip the shrimp over and saute on the other side for 2 more minutes. 5. 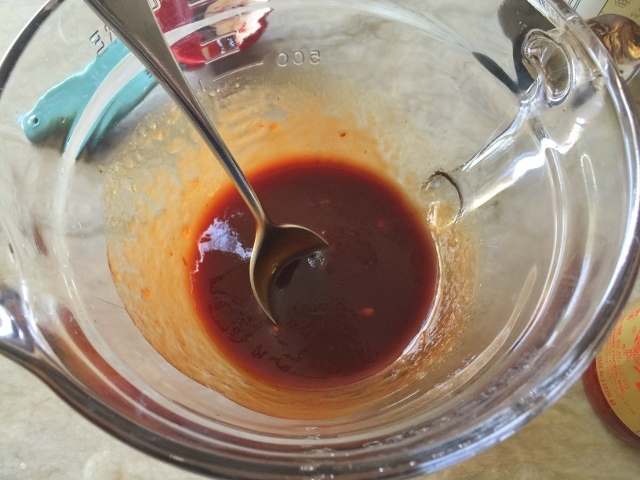 Pour the sauce over the shrimp and toss to coat. 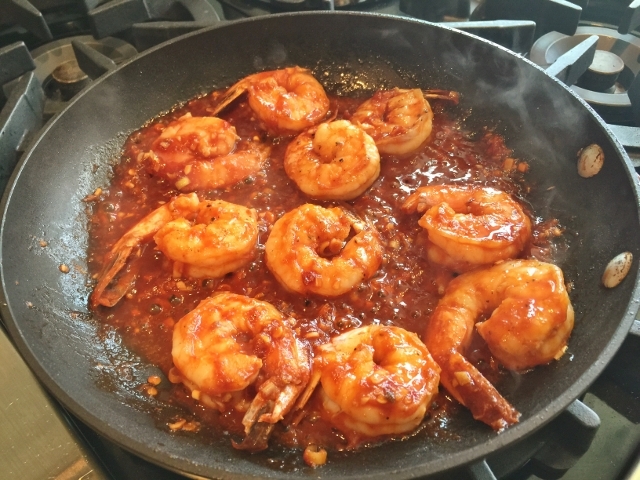 Continue cooking the shrimp in the sauce for 3 minutes. 6. 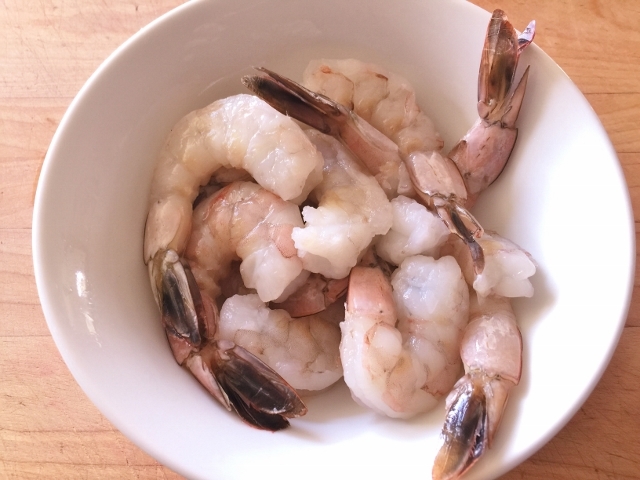 Remove the shrimp from the heat and place them in a serving bowl. 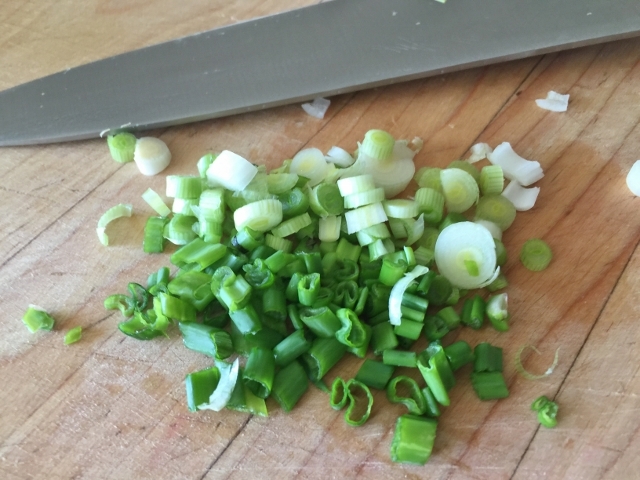 Sprinkle the scallions over the top of the shrimp, enjoy! 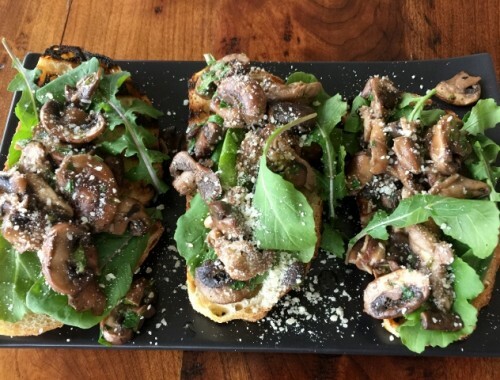 Mushroom & Arugula Bruschetta – Recipe!